What is the purpose of a multi purpose ramp? One small kerb can create a world of problems if you are trying to make an area accessible for wheelchairs or other items with wheels. Many items on the market created to solve this problem are heavy and unwieldy, making them difficult to install and move. At The Workplace Depot, we bring you a multi-purpose ramp that will solve all of these problems. 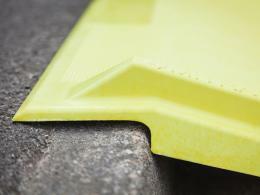 This bright yellow kerb ramp is lightweight, easy-to-install, and can be used anywhere. 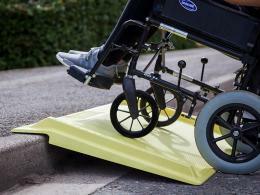 It is the perfect solution for making your area wheelchair accessible with minimal hassle.. This product can be used anywhere that you need to make a kerb more accessible for wheelchairs and other items with wheels. 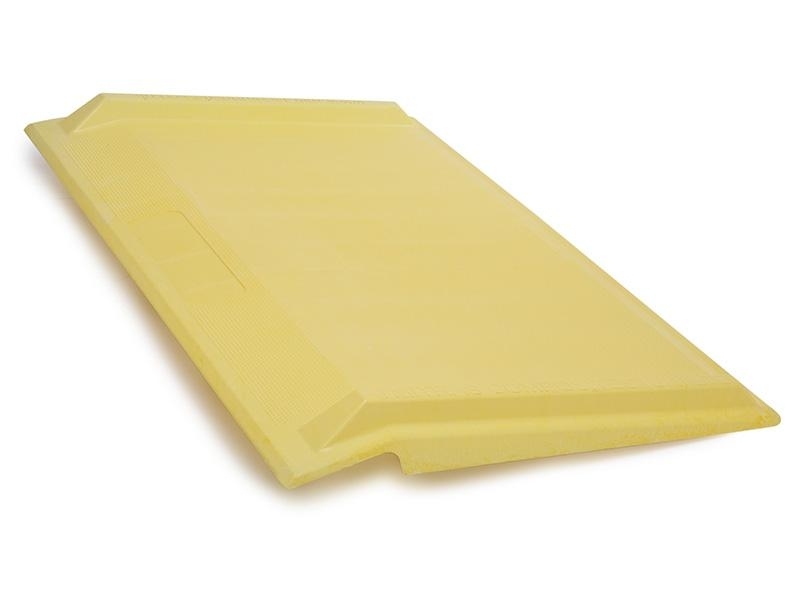 As well as a wheelchair threshold ramp, this product could also be used to provide efficient mobility scooter ramps to a variety of restricted access areas. Anyone who is trying to make an area more wheelchair accessible could use plastic ramps. 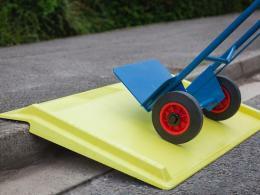 It is also great for people who need to move wheeled items over kerbs. This multi-purpose ramp is great to make any area wheelchair accessible, and it can also be used for a variety of other uses. 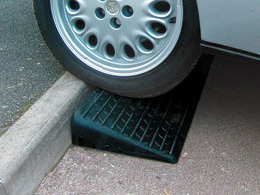 It can easily be used on any kerb up to 150mm. It has convenient 40mm-high wheel retainers, which prevent wheels from slipping over the edge, keeping people safer and more comfortable. It is very easy to move and install because it is lightweight. The entire item weighs only 7.5kg. Even though it is extremely light, it has a maximum weight capacity of 250kg. There are holes in every corner, which make it easy to fix to the floor. If you have more than one of these items, they are stackable, so you can easily move and store them. 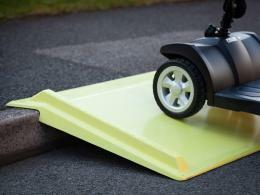 The surface is slip resistant, so that wheels will grip onto it rather than slide, making it a very safe product. The bright yellow colour is easy to spot and attractive. 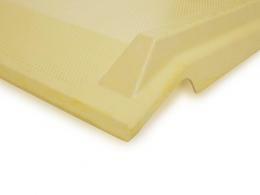 This item is made out of sheet moulding compound (GRP) making it high quality and durable. It also complies with the UK’s DETR code of practice for safety at streetworks and roadworks. If you are looking for an easy way to make any kerb accessible for wheelchairs or other items with wheels, then this is the perfect product for you. If you have any questions about this item or any other product in our inventory, please let us know. We are more than happy to help.